5 years, 2200 campaigns, 9 million USD raised - what are the prospects of crowdfunding in the region? What does it take to start and finish a successful crowdfunding campaign? What is the track record in the region, and what are global trends in crowdfunding? How to enable fruitful junctions between crowdfunding and economy through legal frame and government support? What are the practical measures for development of SME and startup support system in the field of crowdfunding? To tackle these issues, Zagreb Crowdfunding Convention gathered EU-wide crowdfunding experts and enthusiasts for a third year in a row.We hosted Michal Gromek (Stockholm School of Economics, Sweden), Armando Melone (European Commission; Belgium), Karsten Wenzlaff (ikosom, German Crowdfunding Association; Germany) and many other prominent stakeholders. 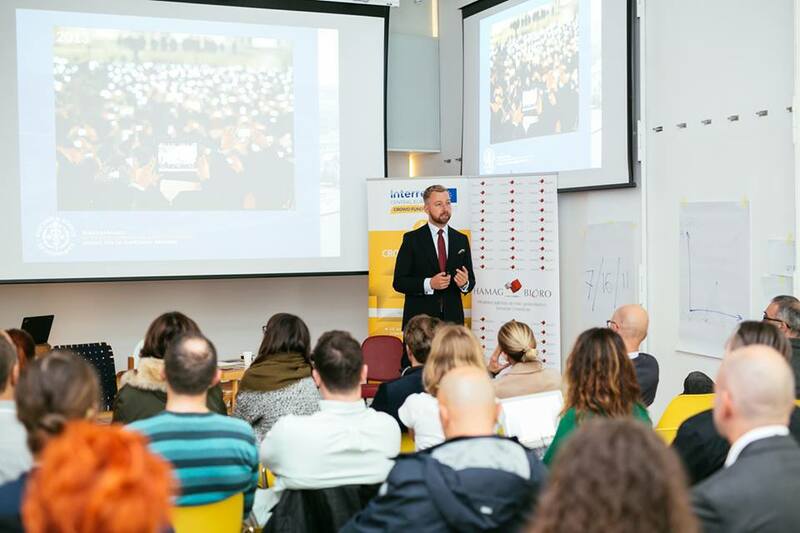 The event was supported by the Embassy of Sweden, Croatian Agency for SMEs, Innovations and Investments (HAMAG-BICRO), and the Interreg Central Europe project "CROWD-FUND-PORT". During a workshop which opened the event, Michal Gromek of the Stockholm School of Economics (Sweden) brought to the fore the theme of equity crowdfunding in the startup financing cycle. What made it especially interesting were discussions on how to build a support network, best practices in motivating investors, the role of home bios and likelihood of investing, and the role of public support structures. Michal Gromek - how to support crowdfunding in Croatia. 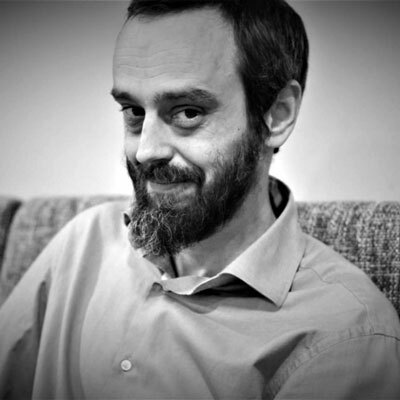 Image: Ivan Travaš. This sensation intensified during his presentation on building a support system in Croatia and the region by looking at the global trends and best practice examples. Having in mind the lack of public support structures, there is a rising potential of building a digital ecosystem for crowdfunding, he concluded. 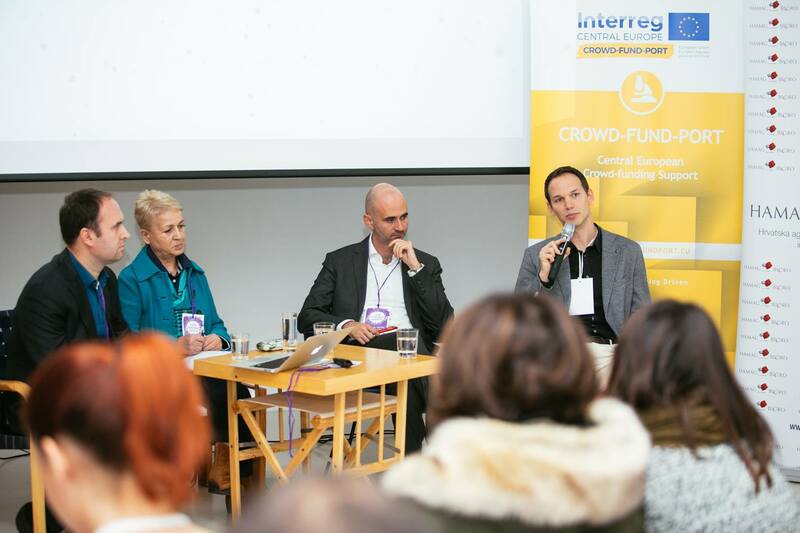 “Each type of crowdfunding needs its own support system”, and in Croatia regional agencies could be the stakeholders who could facilitate positive change. Legal frame and government support - can crowdfunding grow without it? Moderated by Karsten Wenzlaff, CEO of ikosom agency and General Secretary of the German Crowdfunding Association, panel discussion included EU-level, national and local government representatives to share what models of support we are likely to expect in the upcoming period. Armando Melone of the European Commission said that many EU financial institutions are considering systematic "matching" of crowdfunding projects that have achieved success on specific crowdfunding platforms. Panel discussion - local, national, and EU government stakeholders. Image: Ivan Travaš. On the other hand, Jasminka Keser of the Ministry of the Economy of Republic of Croatia pointed out that state institutions are carefully tracking developments in crowdfunding and do everything in their power to support young entrepreneurs and, unfortunately, the state still lacks a satisfactory legal framework. Well, how does that break down in actual crowdfunding campaigns? More than 2.200 crowdfunding campaigns (group financing) in the last five years yielded 9 million USD in the SE Europe region from 2012 to 2016. This is the main result of a survey conducted by Brodoto Agency which was presented at the convention. It is a first survey of its kind in the region and it included Slovenia, Croatia, Serbia, Bosnia and Herzegovina, Montenegro, and Macedonia in relation to reward-based campaigns from the biggest crowdfunding platforms: Indiegogo & Kickstarter. Moreover, the entire region recorded 450% rise in the collected funds. The data is really impressive and they give a sense of healthy and thriving ecosystem, but there were only 10% of successful campaigns, and only 120,000 people contributed. GDP and funds raised through crowdfunding in the region 2012-2016. Image: Brodoto. "Even though the entire region recorded 450% rise in the collected funds, 80% of all funds went to Slovenia. For us as educators it is particularly interesting that only 10% of all launched campaigns was successful and that less than 0.5% of the population in the region has participated in crowdfunding campaigns”, said Marko Gregović, director of Brodoto Agency. The crowdfunding market in the region is maturing for sure, and the falling number of number of new campaigns is indicative, but it also shows significant disparities among countries and points to obstacles for catching up with the global trends. In that vein Michal Gromek of Stockholm School of Economics pointed out that although crowdfunding is still considered to be a prize or a donation campaign, many of us should expect new developments, including crowdfunding credits, as well as real estate and insurance crowdfunding, and the ambassador of Sweden Lars Schmidt pointed out that Sweden supports alternative ways of financing. „Crowdfunding is a great way for Sweden to quickly raise capital, ideas and product development“, he concluded. Networking, support, education. The most valuable outcome of the Zagreb Crowdfunding Conference 2017 are lessons for the region. The crowdfunding is growing, the market is maturing, and Slovenians are setting regional benchmark when it comes to successful campaigns and funds raised. As Žiga Berce, Slovenian Kickstarer-mentor that helped funding more than 900,000 USD for entrepreneurial causes emphasied, building up a diverse team is a key for successful campaign. All other countries in the region should implement good practice examples, because “we do not need to invent the wheel again”, Michal Gromek rightfully said. However, there is a necessity to build a better support system in other regional countries as well, and there should be a push towards creating a more sustainable legal framework for crowdfunding, which cannot be achieved without national and local government support. There should be a more active role of regional agencies and the potential of digital ecosystem implementation has to be taken into account if there is enough will to build a healthy support system. Finally, only 10% of campaigns launched were successful and 0.5% of the population in the region had participated in crowdfunding campaigns. That’s simply too low, even if funds raised are increasing. Here education plays a crucial role, and there is a growing need for it. Zagreb Crowdfunding Conference is one occasion in that direction, and this is a way of inviting others to actively partake in the development of a vibrant crowdfunding year.